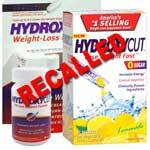 Hydroxycut side effects are more dangerous compared to other diet pills due to higher caffeine content that in itself is quite alarming and causes separate unwanted health consequences like hyperactivity, caffeine jitters, increased heart rate and addiction. If you are struggling to lose weight and are concerned about dangerous Hydroxycut side effects, discuss your concerns with your doctor who will be able to recommend how to accomplish desired fat loss the healthy and more natural way. Certain health conditions might make it more difficult for you to lose weight; your doctor will recommend which tests you need to undergo to figure out the actual underlying causes of your obesity. Clearly, the best diet pills for weight loss do not exist since they do not address the actual culprit behind extra weight, namely, sedentary lifestyle, bad diet and chronic health conditions. Check out our other articles to learn more about Lipofuze side effects.